"There's no way to make this easy on the horses." No one knows where a horse named Ambassador was born, but he ended up, like so many others, at an airport in Canada. Almost every week - from Edmonton and Calgary airports in Alberta and the Winnipeg airport in Manitoba - unwanted horses are packed into crates and flown across the ocean. They land in Japan, one of the leading importers of horsemeat; 6.5 million pounds of horsemeat were imported by the country in 2016 alone. But the live horses exported to Japan are used for something very specific: a kind of specialty sushi called basashi. "The meat needs to be consumed within three days after being slaughtered in order to be eaten as sushi," Ewa Demianowicz, campaign manager for Humane Society International, told The Dodo. Not only that, oils harvested from the horses' bodies are also used in beauty products. "It is sad and difficult to understand," Debby Murtagh, director of research and community outreach for the Canadian Horse Defence Coalition (CHDC), told The Dodo. "Japan relies on the imports to boost production to meet consumer demand." Many of the live horses are imported so that Japanese farmers can raise them in a particular way to achieve the kind of meat they want. "The live horses are further raised to develop 'marbling,'" Murtagh said. In 2015, Ambassador was just one of 5,782 horses to suffer this fate, according to the CHDC. 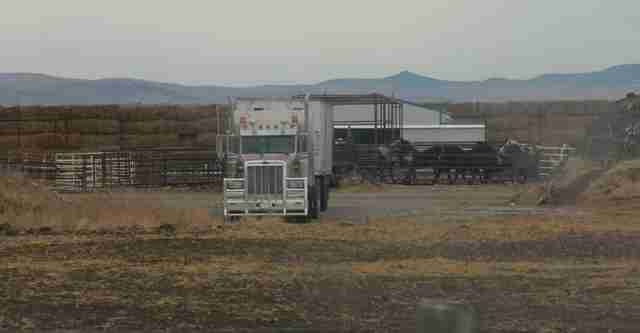 Last year, live horse exports from Canada increased to 5,839. 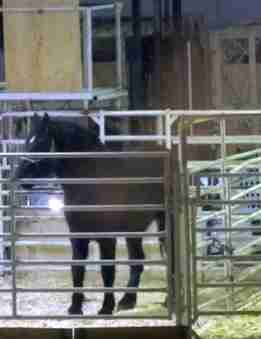 The horses don't just come from Canada - while horse slaughter is illegal in the U.S., American horses are routinely shipped north just to enter the slaughter pipeline. And flights to Japan are far from easy on the horses. 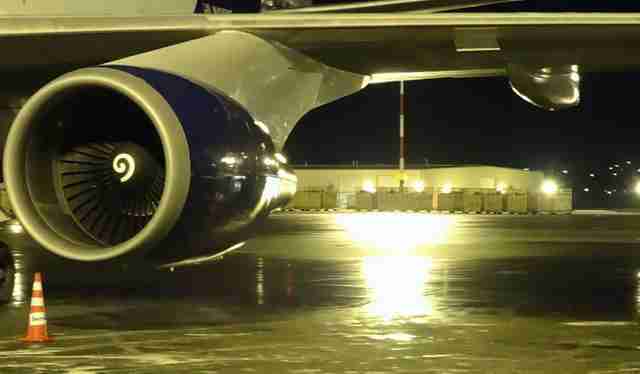 The flight is generally 16 to 18 hours long, sometimes longer. Regulations from the Canadian Food Inspection Agency (CFIA) allow horses to go without food, water or rest for up to 36 hours. 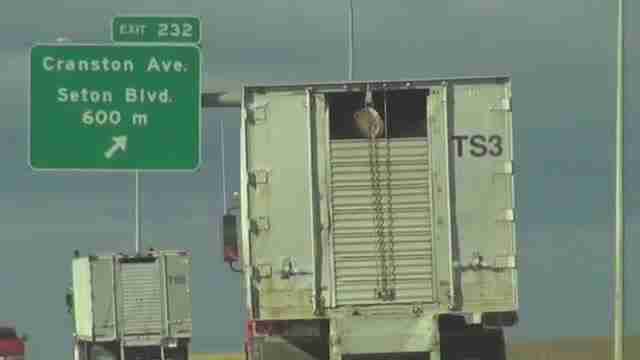 Several horse deaths during transport in 2012 show what can happen on these shipments. 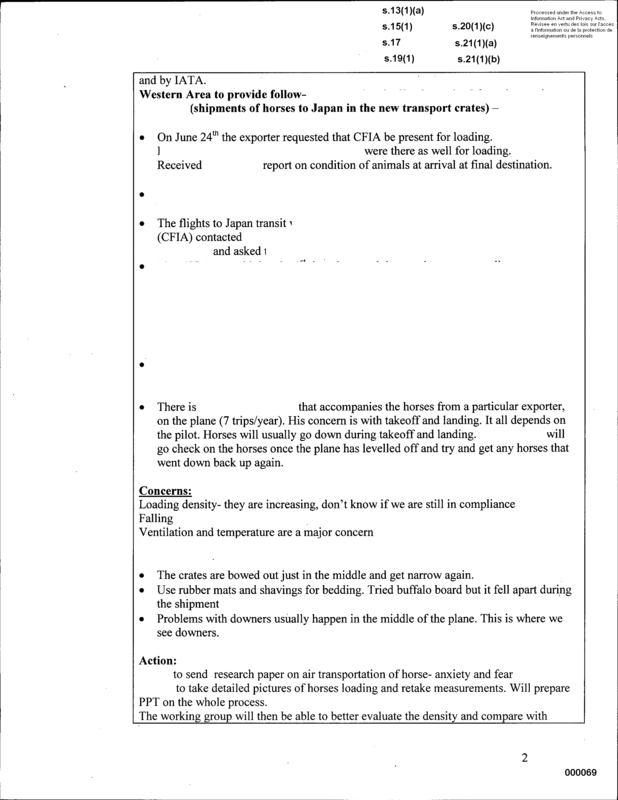 Three horses died during a landing accident and six more died in-flight "due to a combination of a substantial delay, the large size of the horses, and significant stress levels in the animals." 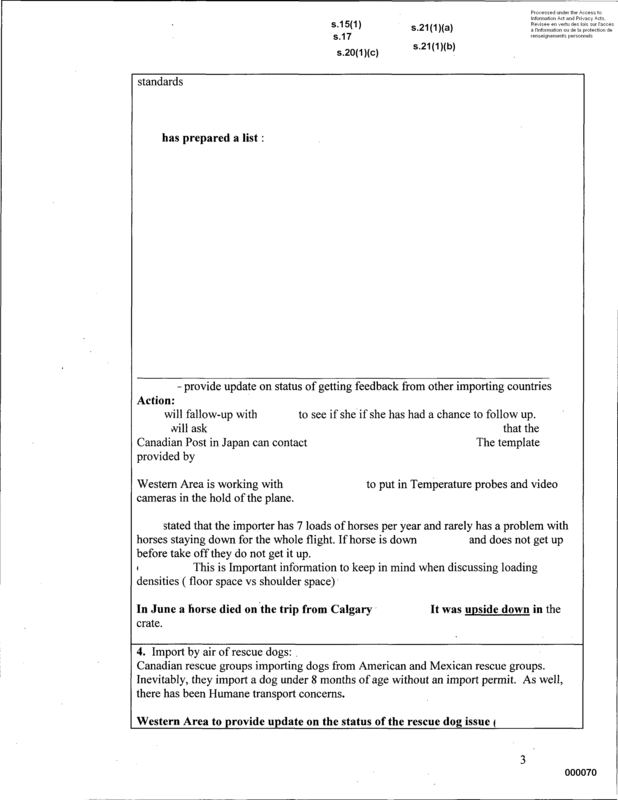 Takeoff and landing appear to be particularly stressful for the animals, according to the CHDC. 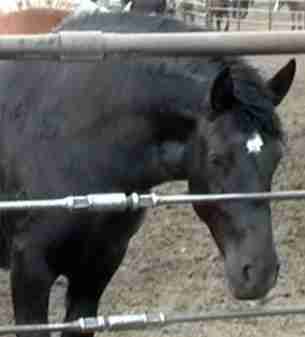 One horse being flown from Calgary was discovered upside down and dead in his crate. There are two major issues with the logistics of these shipments, Demianowicz explained. Horses of a certain height are not supposed to be packed into crates with other horses. And the crates are generally just too small. Infractions on these regulations happen all the time, according to Demianowicz. "The industry does this because it's a higher profit if they jam-pack the horses in the crates," she said. "If they were to follow regulations, it would not be as lucrative of a business." Even though the shipments are overseen by the CFIA, the agency that set the regulations, the rules aren't always enforced. "They're aware that there are ongoing infractions and they're not doing anything about it," Demianowicz said. "They wrote these regulations and they are not following their own rules." And even if the rules were followed perfectly, there is a larger problem with the inherent cruelty of live export. "There's something very troubling that we export live animals to be slaughtered in another country where we have no idea of the regulations of slaughter is over there and no control over what happens to them," Demianowicz said. "They have to endure hours and hours of transport without food, water or rest. These are the last days of their lives." "There's no way to make this easy on the horses," she added. The CFIA did not immediately respond to The Dodo's request for comment. To help save horses from being shipped to Japan, you can sign this petition. You can contact the CFIA and ask them to put an end to this industry. You can also support the CHDC by making a donation.